Comparing California's most destructive wildfires -- the current Camp Fire and last year's Tubb's Fire -- College of Natural Resources Dean Emeritus Keith Gilless, also a forest economics professor, says: "One fundamental difference that occurs to me is that the Tubbs fire broke out late at night, which made notification and evacuation particularly difficult." Professor Gilless also discussed California's wildfires on WBUR's On Point program. 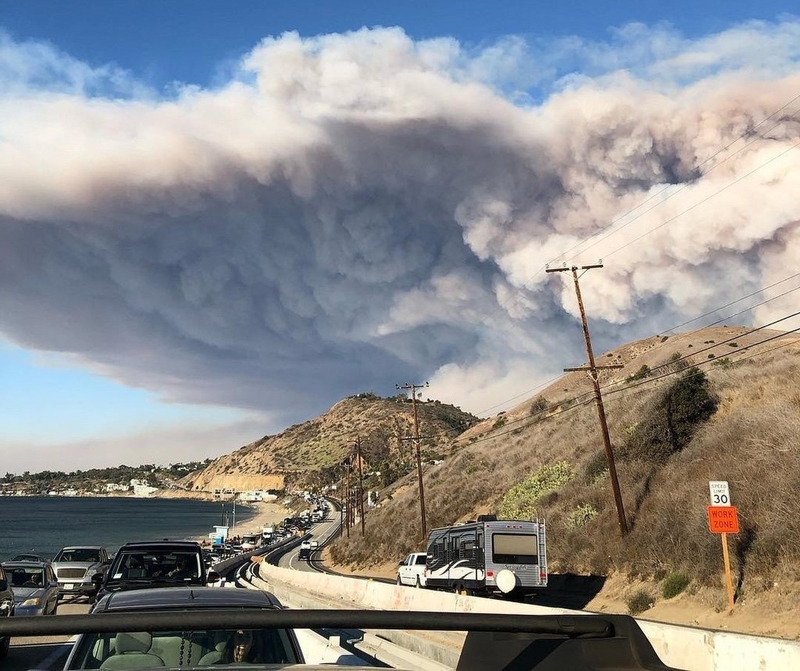 … “I've been following these issues for 40 years, and I don't remember a time when the issue of wildfire has ever been politicized anywhere close to the extent it is now,” said Richard Frank, director of the California Environmental Law and Policy Center at UC Davis. …Paradise sits on a ridge between two higher hills, with only one main exit out of town. The best solution seemed to be to order evacuations in phases, so people didn't get trapped. …It makes sense to tap the market earlier in the year, when California growers are not competing with others entering the market and there are better margins to be had. That's why Ramiro Lobo and others from the University of California have been working on a long-term berry trial in Southern California, to look for the best varieties that can be produced early in the year. "You have to be in the market as early as you can, because by April and beginning of May, the prices are so low, it doesn't even pay for the harvest," Lobo said. He is a small farms and agricultural economics advisor with UC Cooperative Extension. So far this year, early estimates reveal that nut damage and subsequent losses from NOW larvae, will be less than in 2017, though the pest remains a major concern in almond, pistachio, and even walnut orchards. University of California Agriculture and Natural Resource (UC-ANR) advisors note that a successful management plan for controlling Navel orangeworm starts in the fall following harvest and continues through the winter months. "Sanitation is the foundation of Navel orangeworm control," says Pheobe Gordon of UC Cooperative Extension. "Post-harvest sanitation is the first step in slowing the emergence of the pest when the new season begins." … UC-ANR Extension IPM Specialist Dr. Jhalendra Rijal is one of the leading researchers on Navel orangeworm control in almonds and walnuts. "We have been working vigorously to better understand Navel orangeworms, how they reproduce, migrate, and survive,” he says. On average, the cost of thinning forests through hack-and-squirt while leaving the dead trees standing is about $250 per acre, said Greg Giusti, a forest advisor with the University of California Cooperative Extension. The cost of cutting and leaving them on the ground is about $750 an acre, while cutting and hauling them away is about $1,000 an acre. On a recent morning in the Santa Ynez Valley, a crowd of people gathered at the Ted Chamberlin Ranch to discuss soil health and so-called carbon farming. The event –– hosted by the Community Environmental Council, the Cachuma Resource Conservation District, and the Santa Barbara Agricultural Commissioner's Office –– showcased successful carbon farming trials recently conducted on the ranch, and was attended by local landowners, environmental activists, scientists and county officials. Matthew Shapero, Livestock and Range Advisor for the UC Cooperative Extension, explained that the grasses surrounding the site had sprouted green last spring and have since died in the heat of summer, becoming what he calls “residual dry matter.” Now the brittle, golden shoots have become a sparse cover for hard-packed soil that's cracked and dry. Are Organic Farms Ruining California's Rural Coast? David Lewis, county director of the UC Cooperative Extension in Marin County, estimates that the Point Reyes ranches contribute as much as 20 percent of the county's $110 million in annual agricultural production. Given the industries that support agriculture—feed companies, veterinary services, a grass-fed beef butchery—the overall economic output of the ranches may be three times that amount. If the ranches closed, Lewis says, "You'd be losing about $60 million a year in production." The ranchers also contribute more than 5,000 jobs in the region, on and off the farms. The United States joined 12 other nations to encourage policies to enable continued agricultural innovation, including genome editing. Australia, Canada, Brazil, and Vietnam were among the countries issuing support of the International Statement on Agricultural Applications of Precision Biotechnology. Noticeably absent from the joint statement of support was the European Union (EU). Glenda Humiston has always been involved in rural issues from her days growing up on a farm to her current position as vice president of University of California Division of Agriculture and Natural Resources. “I was really involved in the 1990s in trying to figure out how agriculture and environmental interests find common ground, as well as building bridges between rural and urban sectors," said Humiston. "In the 2000s, I started focusing on economic development and sustainability. In my current job, I'm bringing all of those together around the reality that sustainability truly has to be a triple bottom line. We've got to develop ways for people, the planet and prosperity to all thrive and enhance the synergies between them." Humiston will be awarded the 2018 California Steward Leader Award at the California Economic Summit. 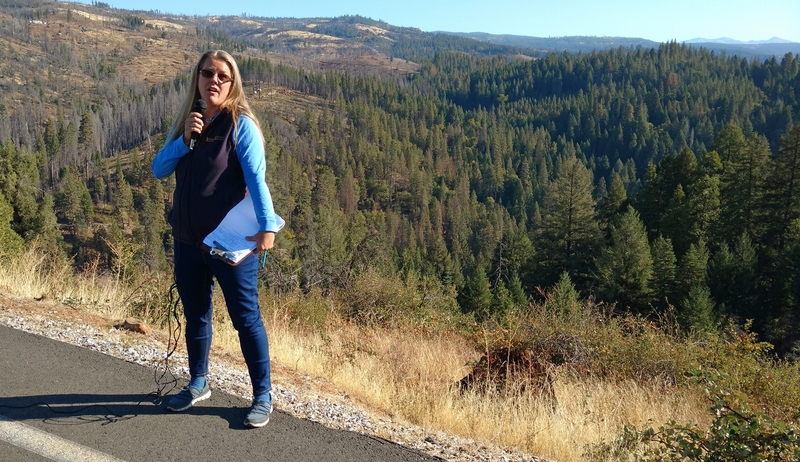 She currently serves on the 2018 Economic Summit Steering Committee, as well the Action Team co-lead for Working Landscapes and co-chair of the Elevate Rural California initiative. The Ventura County chapter of California Women for Agriculture will host a presentation by Annemiek Schilder of the University of California Cooperative Extension and Hansen Agricultural Research and Extension Center. …The study, which appears in the journal PLoS One this month, suggests that people of color, especially Native Americans, face more risk from wildfires than whites. It is another example of how the kinds of disasters exacerbated by climate change often hit minorities and the poor the hardest. …Rachel Morello-Frosch, a professor of environmental health at the University of California, Berkeley, said the research could be useful in preparing for future disasters. “Results of this study can help inform planning and outreach efforts to enhance the resilience of fire-prone communities, particularly for communities of color that are often overlooked when these disasters happen,” she said in an email. 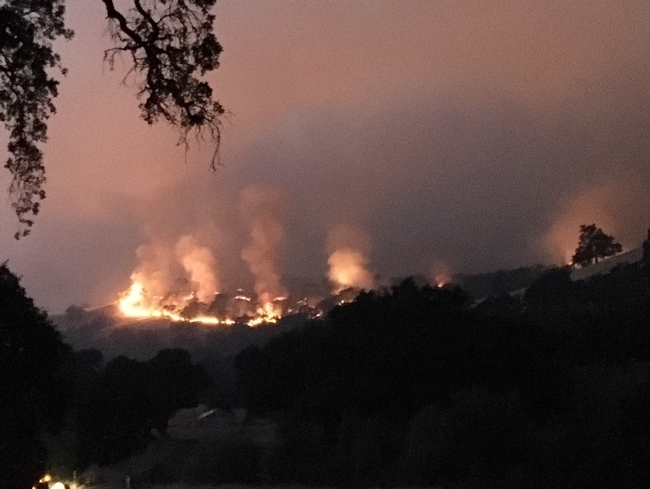 …"I recently talked to a homeowner who had his insurance canceled about three months before his house was destroyed by a wildfire,” said UC Cooperative Extension forestry and natural resources advisor Susan Kocher. Kocher says calls from homeowners come often, and that people's reality is something the new commissioner will have to deal with: a complicated insurance system and a warming climate that's increasing the number, size and impact of fires in California. … C. Scott Stoddard, a University of California Cooperative Extension farm advisor in Merced County, is running trials with different purple varieties, working in concert with a sweet potato breeder at Louisiana State University. One recent test variety, he noted, started off well from a color and yield standpoint a couple of years ago, but the interior color wasn't quite purple enough—he was getting more of a lavender potato. "We are still very experimental," Stoddard said. "There's nothing that looks like it's going to have something there any time soon." More than 25 percent of youth ages 5 to 19 are overweight in Placer and Nevada counties, according to University of California CalFresh Nutrition Education Program, Placer/Nevada counties. The program is part of the University of California Cooperative Extension. UC CalFresh is trying to lower that percentage by offering nutrition classes for adults and also teaching some Roseville, Lincoln and Sheridan public school students how to eat healthier. The organization also works with area school gardens. …While genetically engineered animals have been met with controversy, animal geneticist Alison Van Eenennaam believed her own work would be immune. In her lab at the University of California–Davis, Van Eenennaam uses genetic editing technology to develop cows without horns. The process, she says, is no different than traditional breeding, in which breeders select for naturally occurring mutations. "Nature does this routinely, because there are always breaks getting introduced into double-stranded DNA by radiation and sunlight and alcohol, you name it," she says. "That's how evolution happens."